I’m so excited that it’s December!! Not only is it officially socially acceptable to wear my Chrismas jumper, Christmas leggings AND Christmas roll-neck (possibly not all at the same time) but also because it means the December LookFantastic beauty box * is on sale! Woohoo!! It’s out NOW and you’ll have to be quick as the pre-order sold out already, and this month’s box is absolutely crammed full of premium brands, and costs just £15. There’s the cutest little eyeliner in here – the Lord & Berry Travel Size Silk Kajal Kohn Eyeliner fits perfectly into my makeup bag, and it contains only the highest quality, hypoallergenic ingredients. I’ve been using it for mid-afternoon top ups, this mini product is perfect for popping in your clutch bag! Another fab beauty product is the Bourjois Intense Smoky Eyeshadow Palette – a trio of colours; two shadows and one liner and even a cute little brush for application. The shades are ideal for the festive season and it’s cute packaging make it another handbag makeup bag staple. A product which I’m already obsessed with is the Elemis Papaya Enzyme Peel of which you get a cute 15ml sample size. Containing nourishing Papaya and Pineapple, the Vitamin E and Marine Algae also moisturise, repair and protect the skin. I used it last night and woke up to a more glowing, refreshed complexion – a perfect winter pick-me-up! The Macademia Infused Comb is a product i’ve been intrigued about for a while – the comb is infused with macadamia oil which nourishes and helps to detangle hair. I always use an oil before combing through my hair after washing, but it leaves your hands with residue on, while the comb event distributes the oil and leaves your hands oil-free. The Pure Gold Collagen is a liquid food supplement that improves skins appearance from the inside. Long term benefits include brighter, more youthful skin and you are supposed to drink one bottle a day for 4 weeks to see the results. Usually, a bottle will cost you just under £3.60 (box of 10 is £35.99) so it may be pricey, but it’s an awful lot cheaper and less painful than some other youth inducing treatments! Other travel essentials include the Murad Essential-C Cleanser – a brand I’ve not tried before but boy does this cleanser smell delicious!! Containing Vitamins A, C, and E, this is the ideal cleanser to rejuvenate dull winter skin and promote a healthy complexion. Also Ole Henriksen’s Pure Truth Youth Activating Oil is a perfect travel companion as you can just spritz on your face to penetrate the layers of your skin with hydration and nourishment. Long term it should reduce lines and make skin appear brighter – but for me I’ll be popping this in my in-flight beauty bag to give my skin a pick-me-up on long journeys. There’s also a £10 voucher for Coggles in the box to help you with your Christmas shopping! 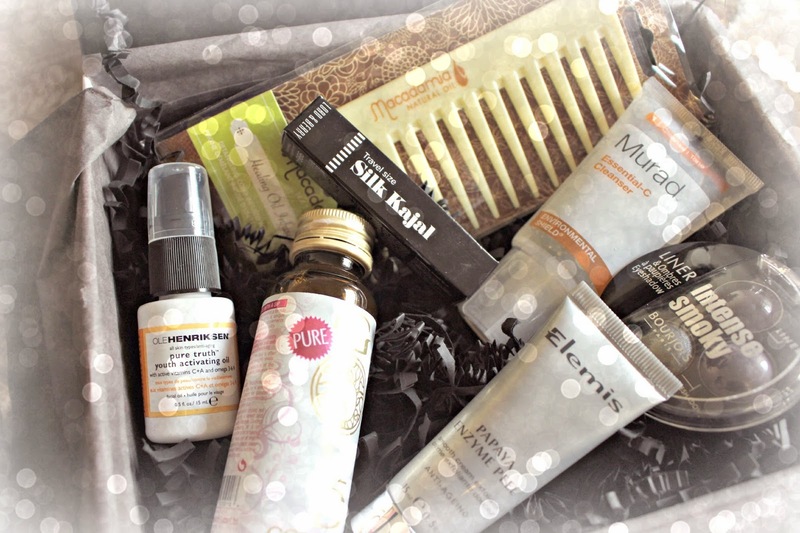 Overall this box is a super way to discover some new products – some of the things in this month’s box are ones which I couldn’t normally justify the price of them, so a great way to try them out without splashing out. I love trying new brands too, and the Macademia comb is now an absolute essential for me. LookFantastic have chosen a fab selection in time for Christmas, making this box a perfect Christmas gift, especially as you don’t have to sign up to a subscription. But don’t hold off as these boxes will sell out pretty soon! 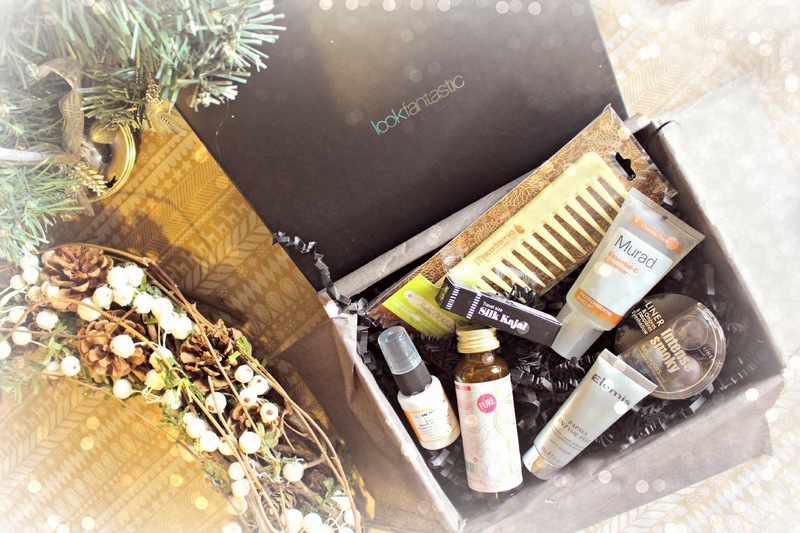 Get your December LookFantastic Box here for £15! Don’t forget to check out my Christmas Wishlist post for more Beauty inspiration for Father Christmas, plus an exclusive Daniel Wellington watch discount code, here!